We believe each child is a unique creation of God, possessing individual skills and talents that, with God’s strength, will equip them to carry out His work. 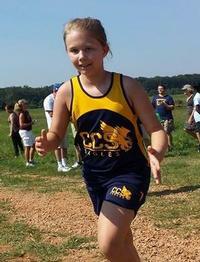 The CCS athletics program is another means to train children in their personal, academic, and spiritual lives. The athletics program uses mental and physical discipline, teamwork, and competition to instill Christ-centered values. Students learn to carry themselves in a manner that is reflective of God’s image at all times, showing humility in accomplishments, gratitude in the face of challenge, and an attitude of perseverance every day. As a community, CCS athletes, coaches, and parents strive to exemplify godly sportsmanship and character at all times.